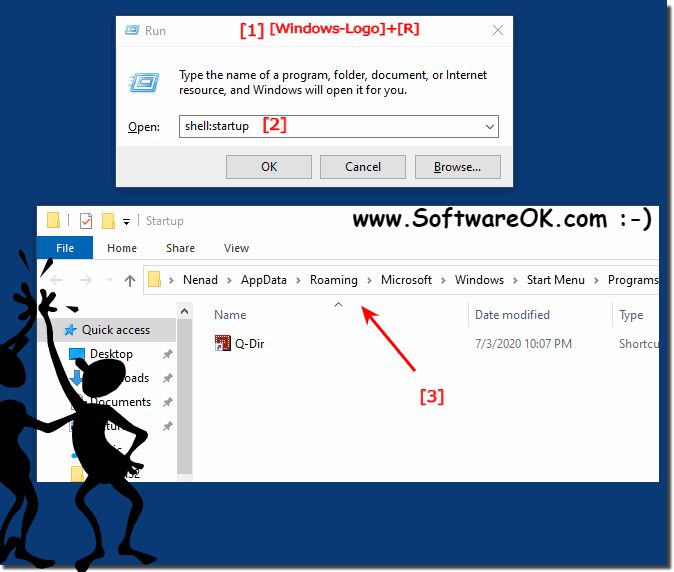 Over time a Windows PC will build up a collection of applications that automatically start when you first turn on the PC or laptop. 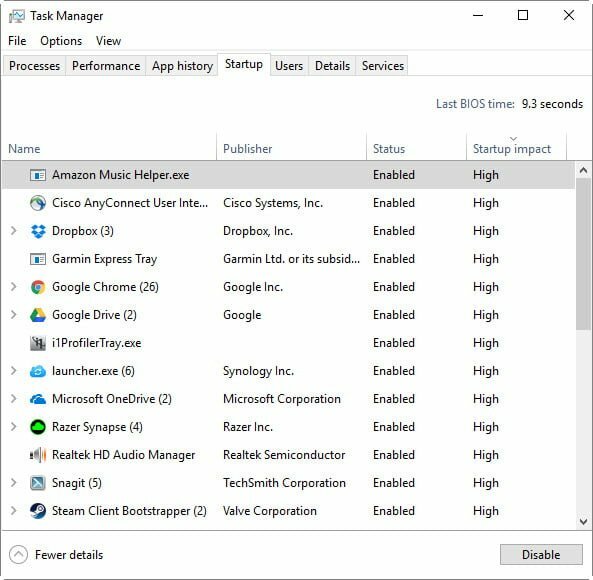 Some of these are useful - cloud syncing services for example... Open the Startup folder and remove the program you do not want to start automatically. If you were unable to locate the program automatically, try to locate it in the autoexec.bat or win.ini . Windows 95 and NT users should also look in the system registry . 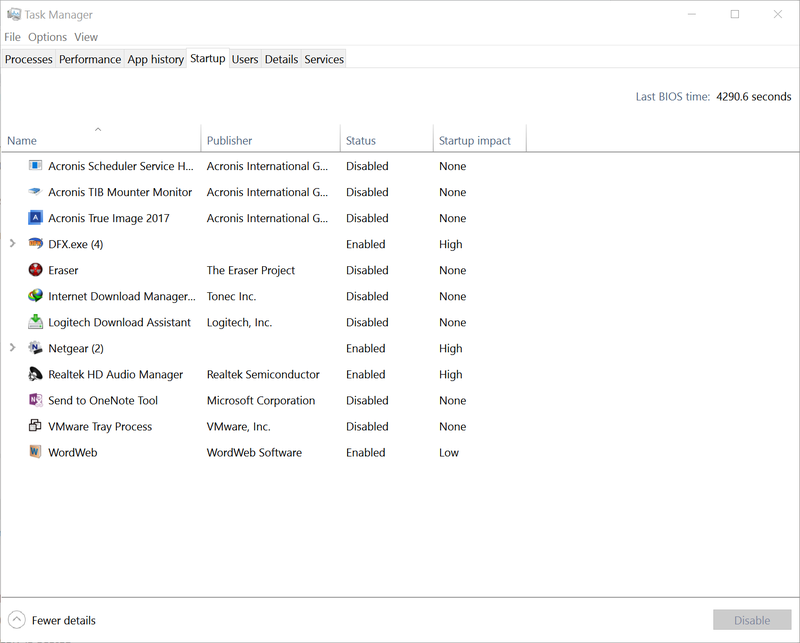 This one shows Startup Programs (I have 5 of them), Scheduled Tasks (75), Plug-Ins(5), Application Services (14) and Windows 10 services (50). It also shows Boot Time in seconds. Windows 10 is the latest release in operating system for desktop and laptop devices by Microsoft, Some of the previous versions of Windows were Windows 7, Windows 8 and Windows XP.